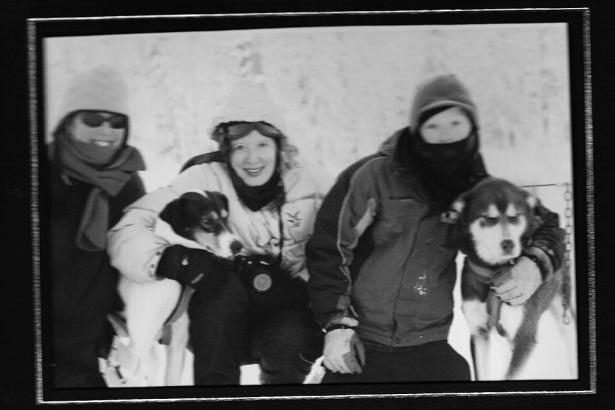 The author (middle) and her son (right) and sister-in-law (far left) in the back country near Whistler with Outdoor Adventures dogs in 2009 in a photograph by Outdoor Adventures. 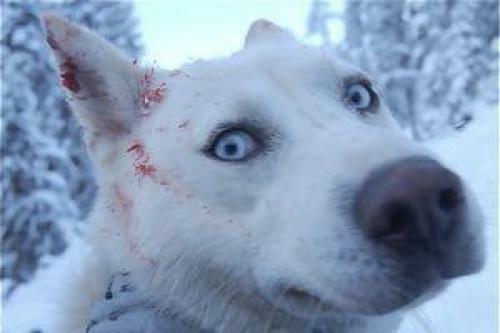 The recent news about the execution-style killing of 100 dogs in Whister, B.C. brought back the memory: sledding through the backcountry on a brutally cold morning with beautiful dogs. My son kept a photograph on his desk beside his bed of the three of us kneeling with the dogs, embracing them. He'd bonded immediately with a dog named Harry Potter. Last night, we talked about what had happened up in Whistler, to the 100 or so dogs brought in for tourists coming to the 2010 Olympics, and put the photographs away. They now seemed too sad for a bedside desk. Nonetheless, on that Christmas day, a sweet moment of bonding took place between boy and dog, mother and son, aunt and nephew. I wonder how many more people in the world bonded with the animals during the 2010 Winter Games. Here's a story I wrote in January of 2009 about my dog-sledding adventure. There was the magnificence of the landscape and the interaction with the guides, but in the end, it was all about the dogs.